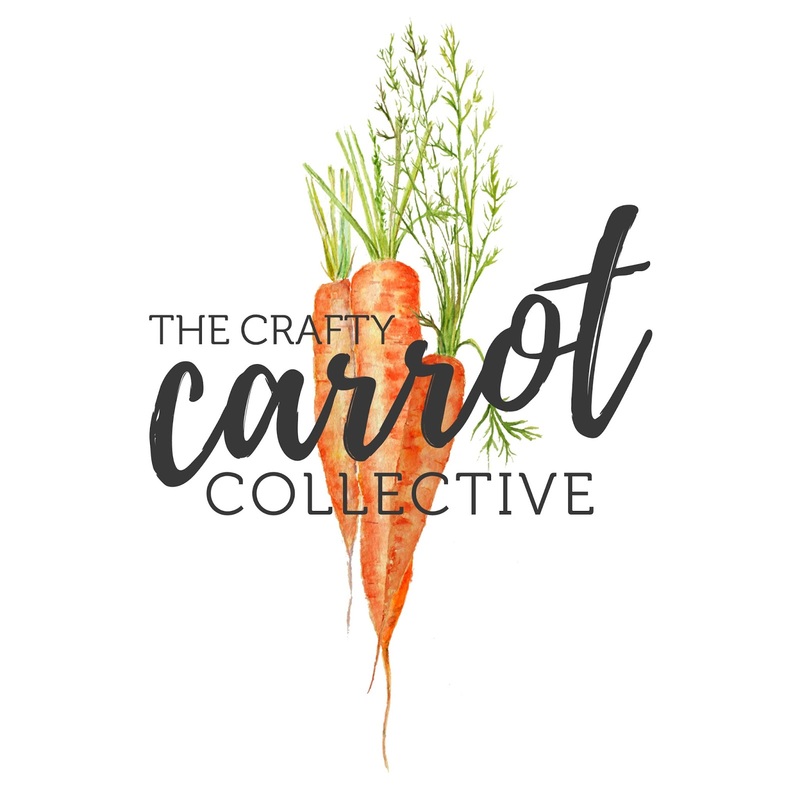 You may have heard me talk about the Crafty Carrot Collective. Now that the new 2017 Occasions Catalogue is here I wanted to give you some more information. The idea is simple ... to bring you tutorials and Stampin' Up! products. 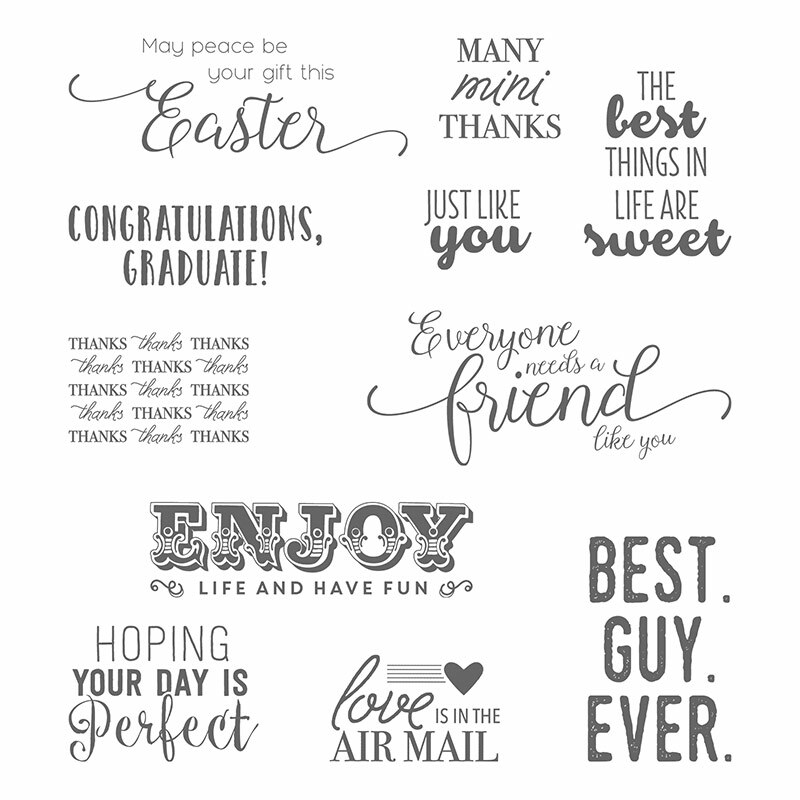 This design team is comprised of 5 international Stampin' Up! demonstrators. 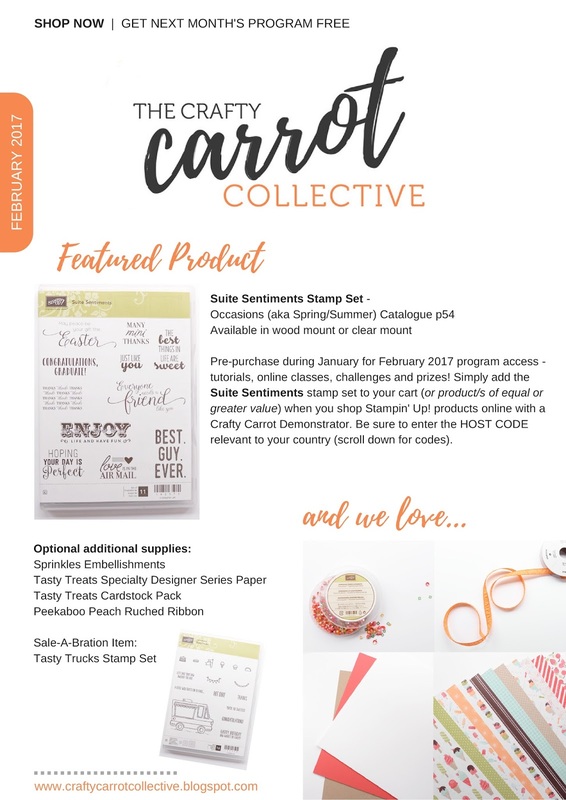 We all have held a spot on past Stampin' Up! Artisan Design Teams. Between us we have a lot of talent and ideas to share. Each week the Crafty Carrot Collective will release a PDF tutorial using a focus product. 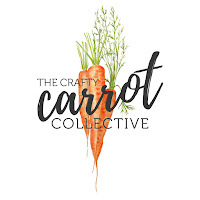 For the month of February, the Crafty Carrot design team will have four PDF project tutorials. Our product focus will be the Suite Sentiments Stamp Set from the new Occasions Catalogue. Here is our our program works ... during the month of January you purchase this stamp set (or product of equal or greater value). In February you will receive the weekly tutorials - FREE! We have added the "and we love" to our brochure because we know that you are going to want a free sale-a-bration item when you are shopping! With every $60 in Stampin' Up! merchandise that you purchase you will receive a free exclusive product of your choice. (the the 2017 Sale-a-bration brochure here). I often hear from my customers that they just can't get away to come to my events and classes. This program will bring my ideas and instructions into your own home so that you can stamp at your leisure. 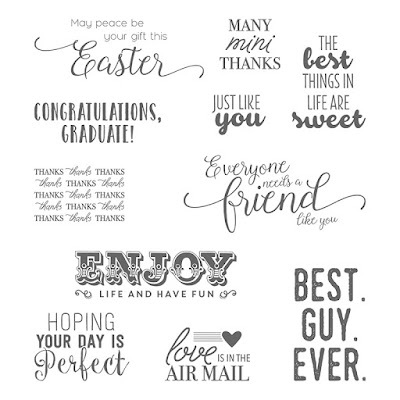 Plus, by making the qualifying purchase, you are building your personal Stampin' collection! to qualify for the February tutorials. We want you to have a taste of this wonderful program so in we are offering our January tutorials free! Our weekly tutorials will be using the Weather Together Bundle. Like us on Facebook for access to the free tutorials this month. To kick the excitement off, the Crafty Carrot Design Team did a blog hop sharing projects with the Weather Together Bundle. Come visit the blog hop to see our amazing projects.